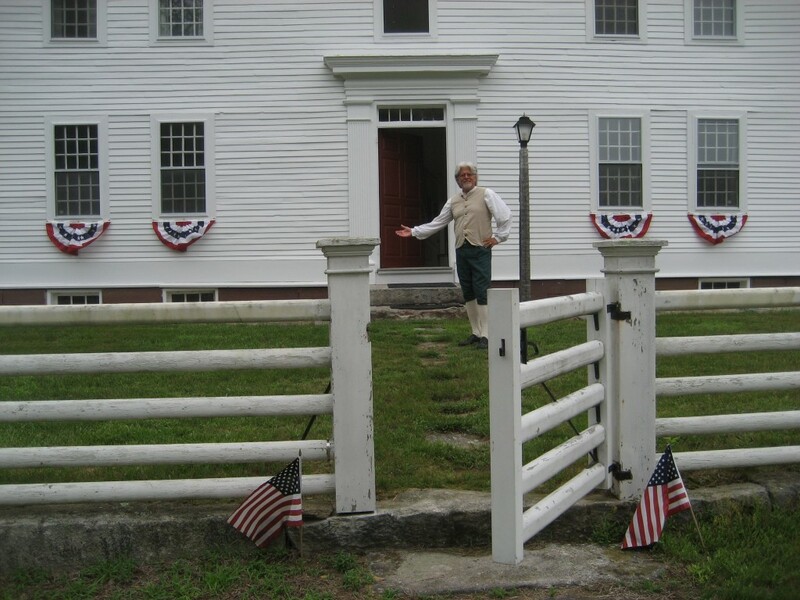 Built in 1793, the Historic Nathan Lester House and Farm Tool Museum is situated on over a hundred acres of land owned by the Town of Ledyard, CT. Housing a collection of artifacts belonging to the Ledyard Historical Society, the house and barns are open to the public from Memorial Day through Labor Day. Visiting hours are from 2 to 4 on Tuesday and Thursday afternoons, and from 1pm to 4:30 pm on Saturdays and Sundays. They are also open year-round by appointment. There are no fees for tours, though donations are always welcome. The grounds, which include over 2.5 miles of wooded trails and beautiful Great Oak Garden suitable for outdoor events, are open to the public from dawn to dusk every day of the year. Pets are required to be on a leash, and powered vehicles are not allowed on the trails or in the fields.
. The Lester House is located at 153 Vinegar Hill Road in Gales Ferry, at the intersection of Vinegar Hill.